APS Fulfillment, Inc. offers our clients a variety of other services in addition to logistics. As one of our clients, if your customers need to make a return, we offer a “no hassle return” policy. Whether it’s domestic or international, your customers can return their order, regardless of the size. When you’re sending an order to a customer, you want it to be presented in a professional manner; that’s why we also feature kitting and assembly services. 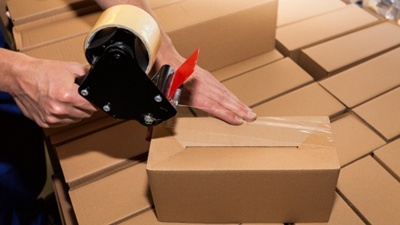 If your customer’s shipment is fragile, we will take all the necessary precautions to ensure that their shipment is packaged properly so it will arrive intact. Our quality control procedures are state-of-the-art and we guarantee that your customers’ orders will be delivered within 24 hours of being placed. When it comes to meeting the needs of our clients and their customers, we go above and beyond, with services that other fulfillment organizations lack. Additionally, we also offer a wide variety of direct marketing services. Whether it’s direct marketing or product fulfillment, APS Fulfillment, Inc. provides these services and much more at a price that will keep your customers on-budget. At APS Fulfillment, Inc., we also provide a number of special projects to our clients. Offering unique services is just one of the many ways we set ourselves apart from the other fulfillment companies out there. Contact us today to find out more!